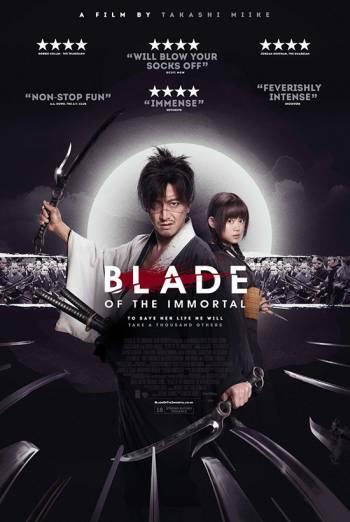 Summary BLADE OF THE IMMORTAL is a Japanese fantasy drama in which a samurai joins forces with an orphan. BLADE OF THE IMMORTAL is a Japanese fantasy drama in which a samurai joins forces with an orphan. There are bloody swordfights involving dismemberment. The violence is sometimes sadistic. There is a scene of sexual violence, together with some brief sexual threat to a child . A character takes his own life, ritualistically.